Growing up I spent my summers on the island where my grandmother was born.The island is called Vårdö and is one of the 10,000 islands than constitute the Åland Islands, an archipelago located in the Baltic between Stockholm and Turku. One of my pastimes was to go to the cemetery. So much can be understood about a community’s history by reading headstones. In particular, one grave always made me stop and pause. It was the grave of an unknown sailor. 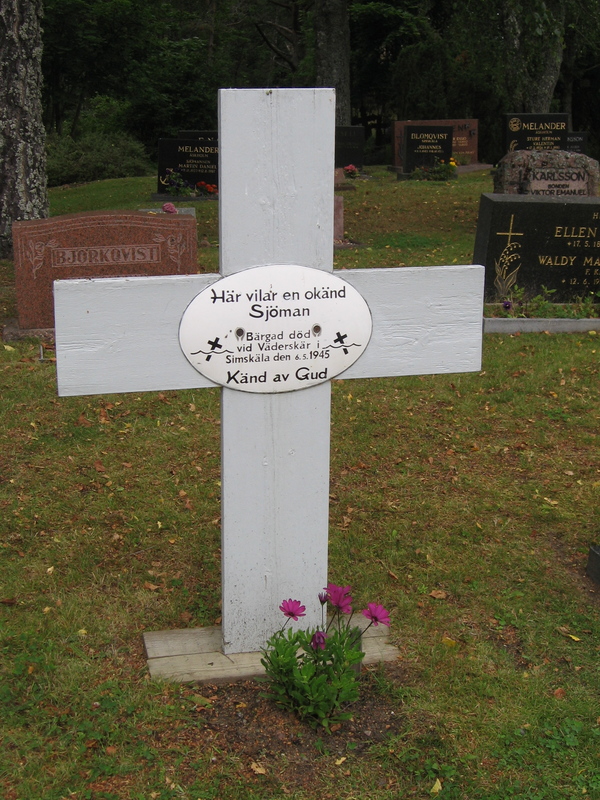 Here rests an unknown sailor found dead by Väderskär at Simskäla May 6, 1945. Known by God. 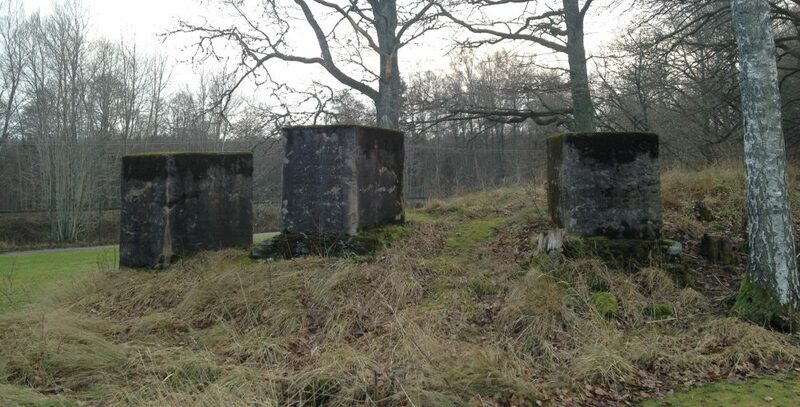 Historian Maths Bertell has informed me that on the island of Föglö, located further east in the Åland archipelago, there are similar graves of unknown Estonian sailors from the Second World War. Perhaps this man was Estonian. As I have written in a previous blog post, since the end of the Crimean War the Åland Islands are a demilitarized zone.The islands are not allowed to be fortified and there is no draft for the Finnish army. Still, being located in the middle of the Baltic, the islands were affected by military conflicts in the region. Moreover, during the Second World War, the independence of Finland, and consequently the Åland Islands, was in danger when the Soviet Union invaded in what have become known as the Winter War (1939–1940) and the Continuation War (1941–1944). 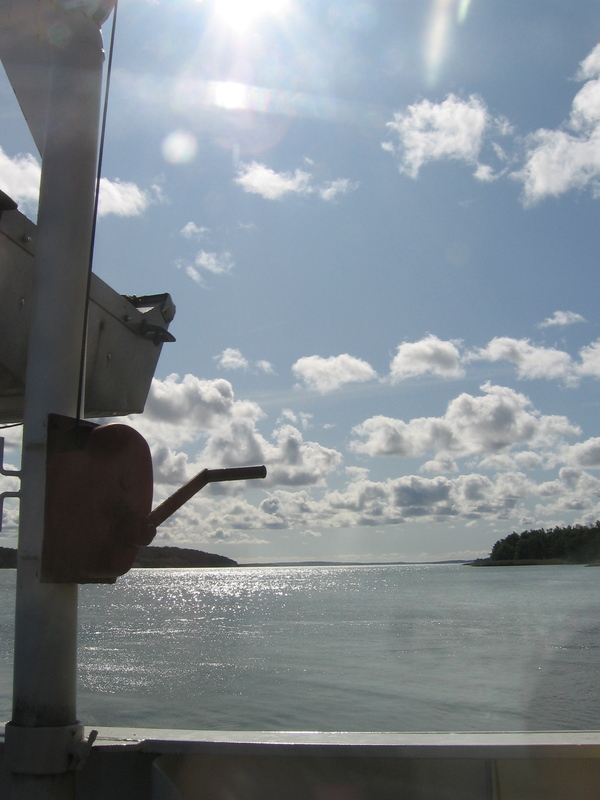 Living on an island such as Vårdö or Föglö means to have a close relationship to the sea. You are dependent on the sea for your survival while at the same time, the sea can end your life at any time. 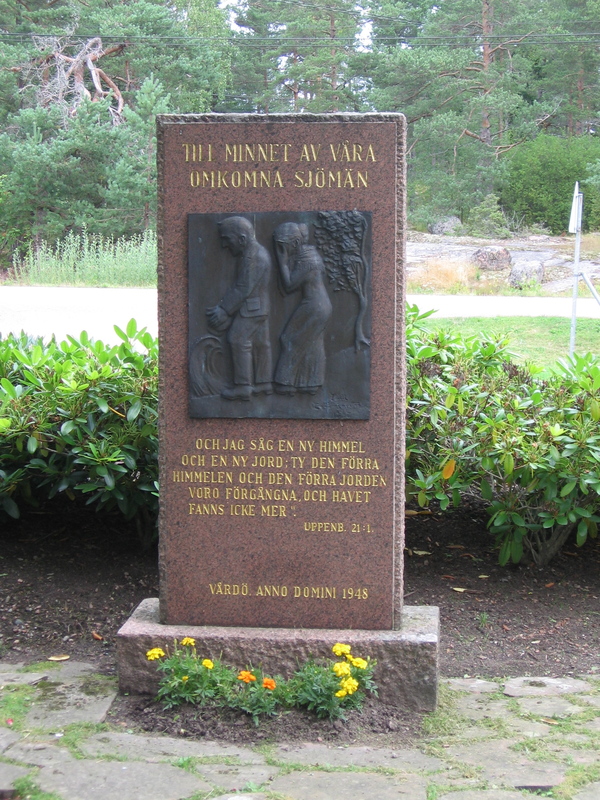 This is demonstrated at Vårdö by a memorial erected directly inside the cemetery gates. followed by a Bible verse (Revelations 21:1). Wherever you go on Vårdö you see the Baltic Sea. It is one of the most beautiful places on Earth. This entry was posted in History and tagged Åland Islands, Ålands hav, Baltic Sea, Continuation War, Crimean War, Estonia, Föglö, Maths Bertell, sailor, Second World War, Soviet Union, Talvisota, the Baltic, unknown sailor, Vårdö, Vinterkriget, Winter War, World War II by Erika Harlitz-Kern. Bookmark the permalink.